What would you do with PSN 20 CAD for free? If youâ€™ve been enjoying the games on Bananatic and achieving great gaming success, you may well have the points you need to get the credit. You can use your credit for games, add-ons, TV shows, movies and more, and even if you donâ€™t quite have the points you require to get it, thereâ€™s still a big chance to win by entering the Bananabet lottery. Why wait any longer? 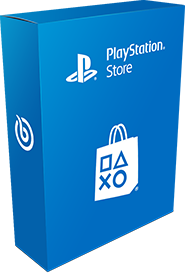 See if your vast efforts have brought you the opportunity to get PSN 20 CAD for free right now.